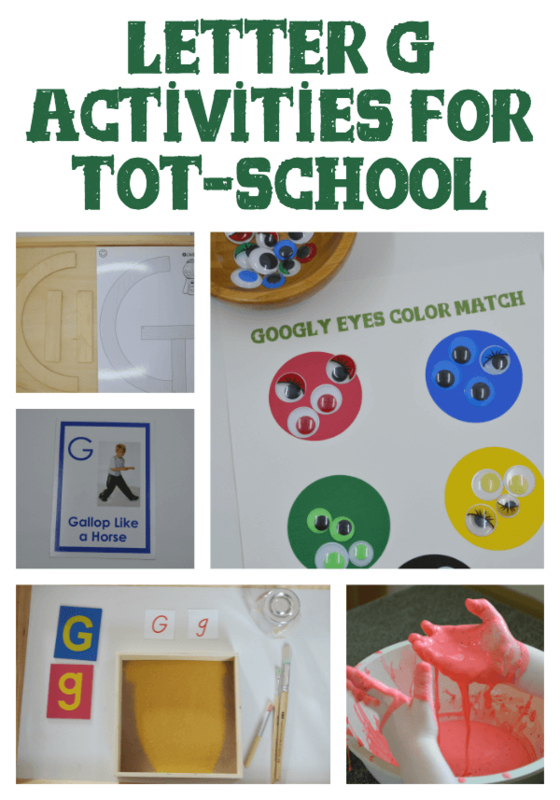 Letter G activities were a little challenging for me with our Letter of the Week tot-school. However, since I am all about keeping it as simple as I can, we managed to add a couple fun things while also just keeping to the basics. Ellie has been interested in categorizing and organizing by similarities so I decided to do colors with this one. 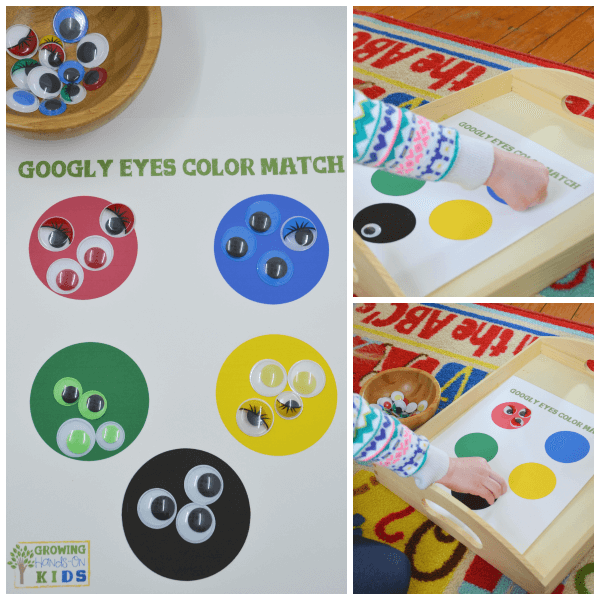 You can head over to the Googly Eye Color Matching post I wrote to grab the free printable for this one. This was set up with our Handwriting Without Tears wood capital letter let and cards. Ellie traces the letters with her fingers after placing the pieces in the appropriate spot. 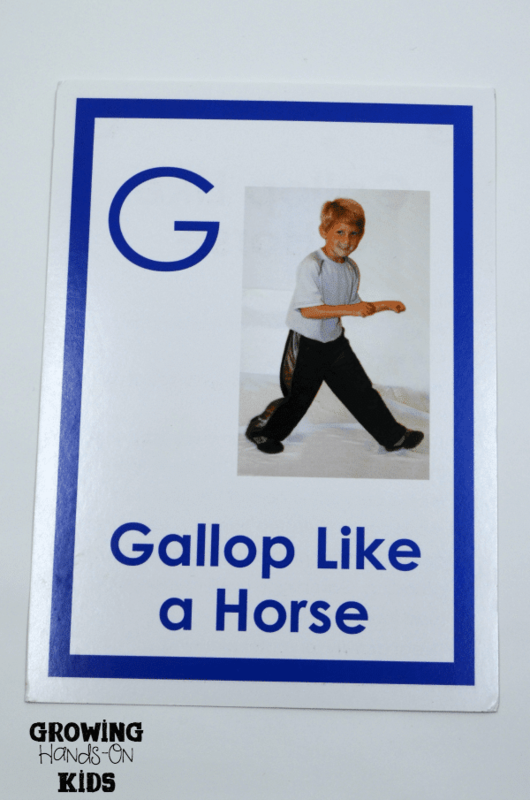 We are using the ABCs of Movement cards, you can read my review of them on the blog. I really love these cards, they are a lot of fun. 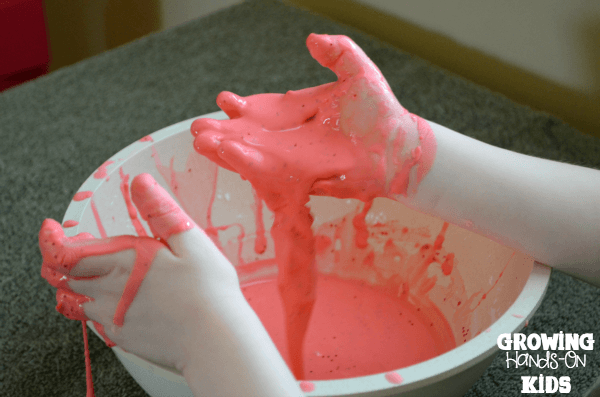 This goop recipe is always a huge hit with Ellie for sensory play. I decided to make it Valentine's themed since that is right around the corner. 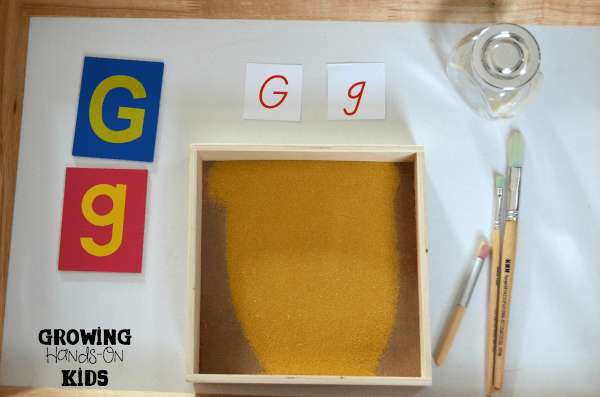 Sand work is probably one of Ellie's favorite fine motor activities right now. 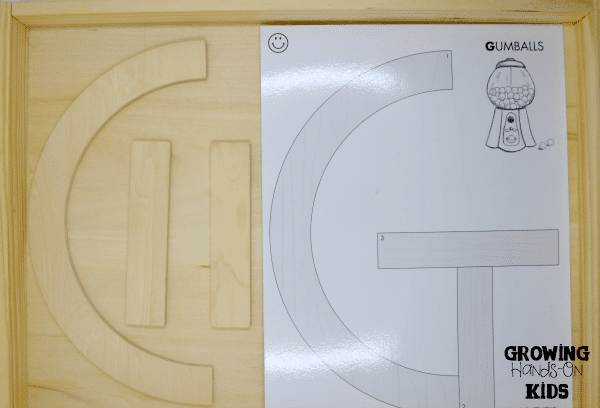 She did very well with letter G this week and even attempted a G on her own after I had showed her a model. 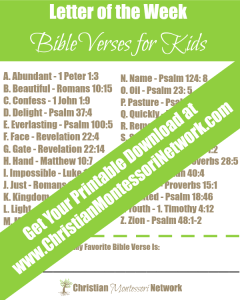 We are using the Letter of the Week Bible Verse printable I made for Christian Montessori Network. Each week we have a different Bible verse to go along with our letter. We usually do worship right after breakfast which is when we read the verse.